Dr. Shersten Killip, MD is a Doctor primarily located in Florence, MA. She has 16 years of experience. Her specialties include Family Medicine. She speaks English. Dr. Killip has received 1 award. The overall average patient rating of Dr. Shersten Killip is Great. Dr. Shersten Killip has been rated by 12 patients. From those 12 patients 1 of those left a comment along with their rating. The overall rating for Dr. Shersten Killip is 3.8 of 5.0 stars. Dr. Shersten Killip is a board certified Family Physician who joined Valley Medical Group in 2009. She came from the University of Kentucky where she was the Associate Residency Director for the Family Medicine Residency for six years. Dr. Killip graduated from Amherst College (BA), Columbia University’s College of Physicians and Surgeons (MD) and the University of Kentucky (MPH). She completed her Family Medicine Residency at Middlesex Hospital in Middletown CT. Dr. Killip particularly enjoys caring for infants and children of all ages, and is always happiest caring for entire families. 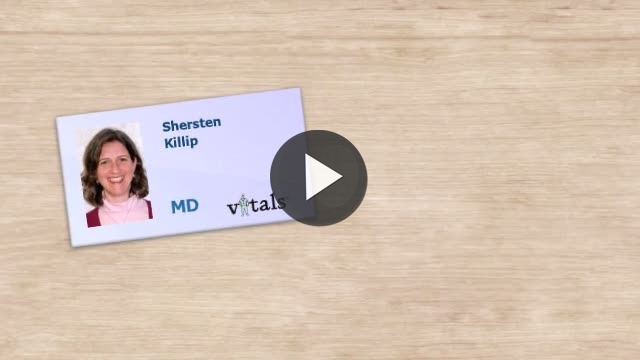 Take a minute to learn about Dr. Shersten Killip, MD - Family Medicine in Florence, MA, in this video.